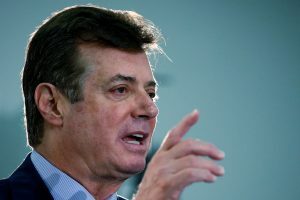 WASHINGTON — President Donald Trump’s former campaign chairman, Paul Manafort, and a former Manafort business associate, Rick Gates, were indicted Monday on felony charges of conspiracy against the United States, acting as an unregistered foreign agent, and several other financial counts involving tens of millions of dollars routed through offshore accounts. The unsealing of the indictment came the same day that Special Counsel Robert Mueller announced that a former Trump campaign aide had pleaded guilty to lying to FBI agents about the timing and detail of his attempts to line up meetings between Russian government officials and the Trump campaign. The plea by George Papadopoulos marked the first criminal charges that cite interactions between Trump campaign associates and Russian intermediaries during the 2016 presidential campaign. 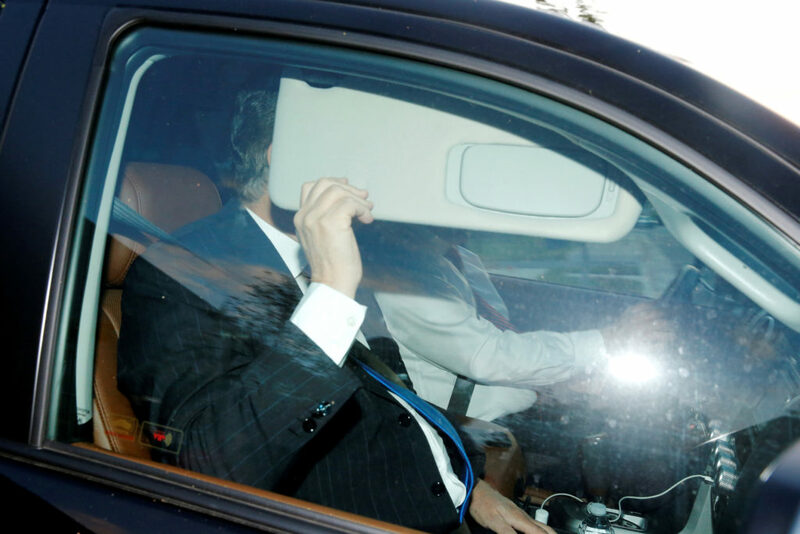 The charges brought Mueller’s sprawling investigation into a new phase, with campaign aides including the man who once led the president’s campaign facing felony charges and possible prison sentences. Papadopoulos’ plea occurred on Oct. 5 and was unsealed Monday. In court papers, he admitted to lying about the nature of his interactions with “foreign nationals” who he thought had close connections to senior Russian government officials. Manafort’s indictment doesn’t reference the Trump campaign or make any allegations about coordination between the Kremlin and the president’s aides to influence the outcome of the election in Trump’s favor. The indictment does allege a criminal conspiracy was continuing through February 2017. The indictment filed in federal court in Washington accused both men of funneling tens of millions of dollars in payments through foreign companies and bank accounts as part of their political work in Ukraine. Manafort and Gates have plead not guilty to all charges. Both men appeared before a federal judge Monday in Washington. Mueller’s investigation has also reached into the White House, as he examines the circumstances of Comey’s firing. Investigators have requested extensive documents from the White House about key actions since Trump took office and have interviewed multiple current and former officials. Correction: An early version of this post incorrectly identified Rick Gates in the headline. He is a former business associated of Paul Manafort, not Donald Trump. Associated Press writers Michael Biesecker, Stephen Braun, Tom LoBianco and Jeff Horwitz contributed to this report. PBS NewsHour will update this story as it develops.